Can You Keep a Credit Card Out of Your Bankruptcy? In an economy where housing problems dominate the headlines, high interest credit cards still remain one of the largest issues consumers face in their fight for financial health. It should come as no surprise to learn then, that credit card debt is still one of the primary reasons consumers are forced to file for bankruptcy. When a credit card account has been delinquent for more than 180 days, banks will charge off what is owed as “bad debt” and sell the account to a debt collector who will call, harass and even sue if the past due balances are high enough. Mounting pressure from debt collectors pushes many consumers through the front door of a bankruptcy office because chapter 7 protection is widely perceived as the fastest and best way to get out from under unmanageable credit card debt. While it is true that filing for bankruptcy can help discharge credit card bills, there are some basics that every consumer needs to know before relying on bankruptcy as a debt relief measure. In this post we will give you the basics so that you can evaluate whether bankruptcy is a good solution to your credit card problems. Please also be sure to browse the related posts section of this page for additional information. That’s the number one rule when it comes to unsecured debts like credit cards debts and medical bills, they are dischargeable in bankruptcy. When you file for bankruptcy, all of your unsecured debts are eliminated, meaning you do not legally owe these bills any longer. Credit card companies who choose to pursue you for old, discharged debts will do so in violation of the law and will be subject to sanctions by the bankruptcy court. Furthermore, unlike debts that are forgiven through private negotiation with a lender, there is no tax liability for debts that are discharged in bankruptcy. This is an area where consumers get tripped up. After bankruptcy, The credit card companies are required to report discharged debt as having a ZERO balance. It is often necessary to check your credit report and confirm its accuracy after your case closes. While the general rule is that credit card debt is easily eliminated by filing for bankruptcy, fraudulent activity can jeopardize your entire bankruptcy discharge. Using credit cards for luxury purchases prior to bankruptcy creates a presumption of fraud which can be difficult to overcome. 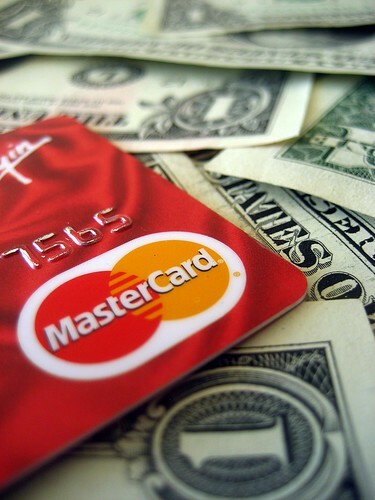 Don’t use credit cards after meeting with a bankruptcy attorney unless you’ve decided not to file. The bottom line is any use of credit cards with the intention of not paying the debt back is fraudulent. The bankruptcy code protects debtors who behave in good faith and punish debtors who to try to game the system. For more information see: Using Credit Cards Before Bankruptcy is a Big No No! All debts including credit card debts, must be disclosed in your bankruptcy petition. This means that you cannot keep any credit card that has a balance “out of your bankruptcy”, it must be disclosed and will be discharged along with the rest of your unsecured debts. Credit cards with zero balances do not create a debt obligation and are therefore not required to be disclosed in a bankruptcy filing. For more information see: Can I Keep a Credit Card Out of Bankruptcy? Believe it or not yes. Creditor companies often send debtors offers for credit cards after they filed for bankruptcy knowing that it will be 8 years before they can file for bankruptcy again. Additionally, bankruptcy will illuminate all of your unsecured debt making your debt to income ratio more attractive to lenders who see that you now have the ability to take on new debt. This is not to say that filing for bankruptcy is good for your credit, because it is not. However, consumers emerging from bankruptcy commonly receive offers for cards in the mail very soon after their bankruptcy case has closed. For more information see: Can You Keep a Credit Card After Filing for Bankruptcy? the bottom line is that as long as you’re acting good faith credit card debt will be discharged in a bankruptcy filing. In fact, one of the main reasons why consumers are forced into bankruptcy is high-interest credit card debt. If you’re facing credit card bills that have spiraled out-of-control, it is never a bad idea to meet with a bankruptcy attorney to discuss your options.